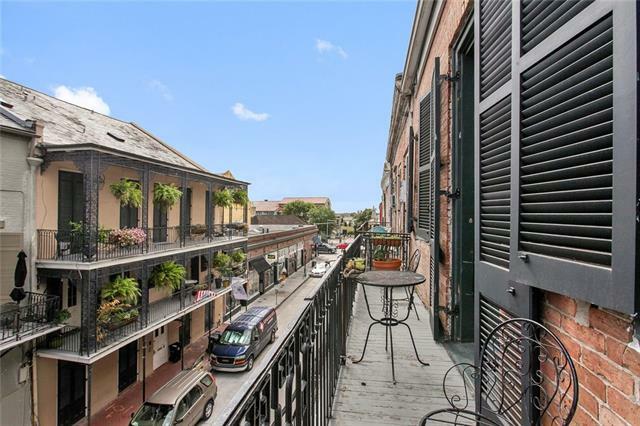 Enjoy this private on-street BALCONY with river view! 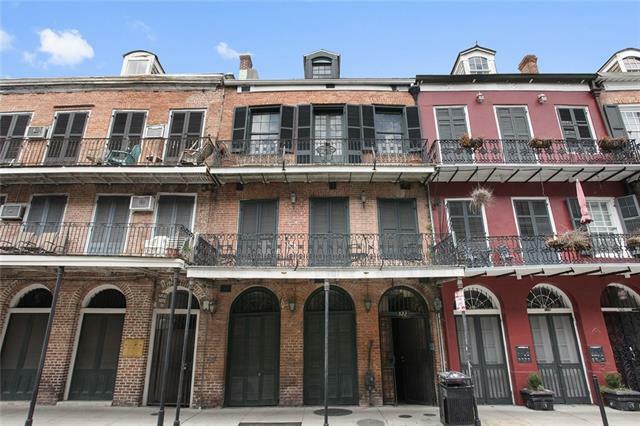 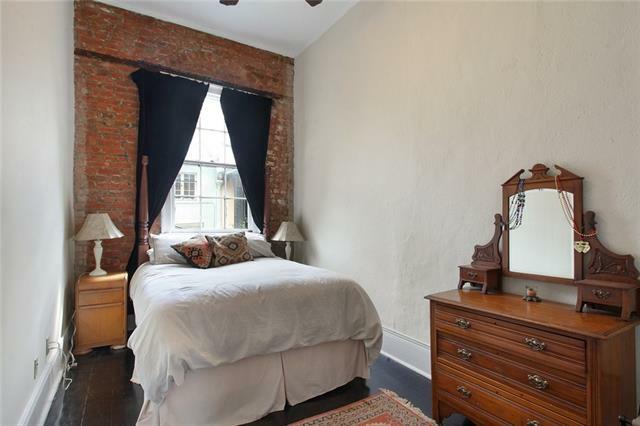 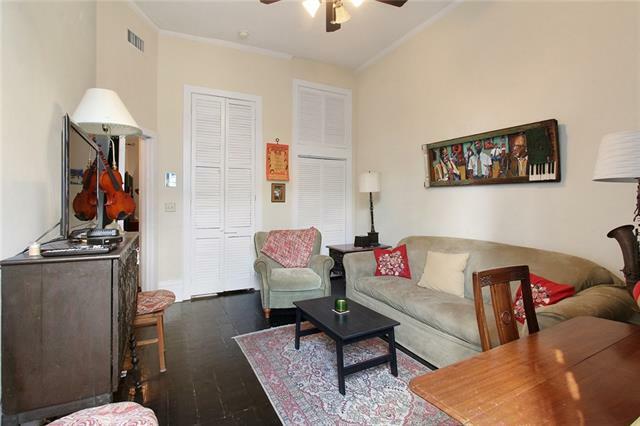 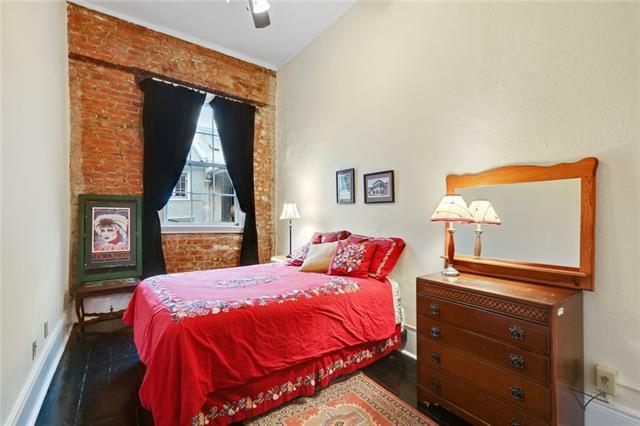 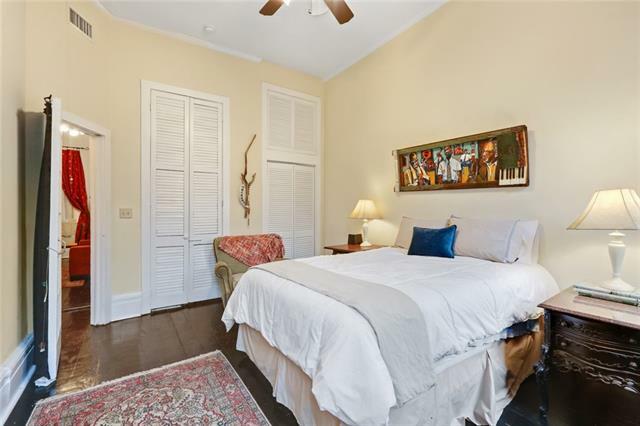 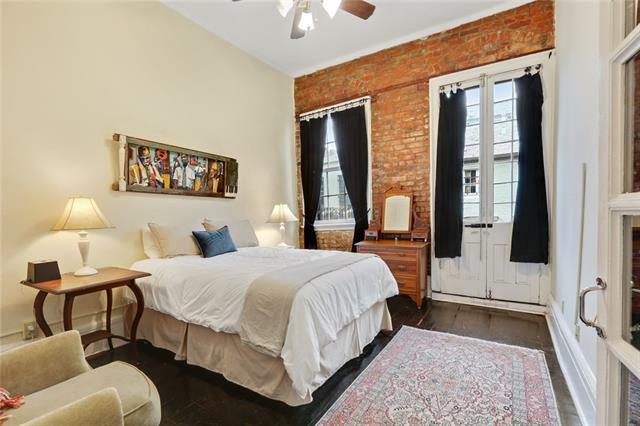 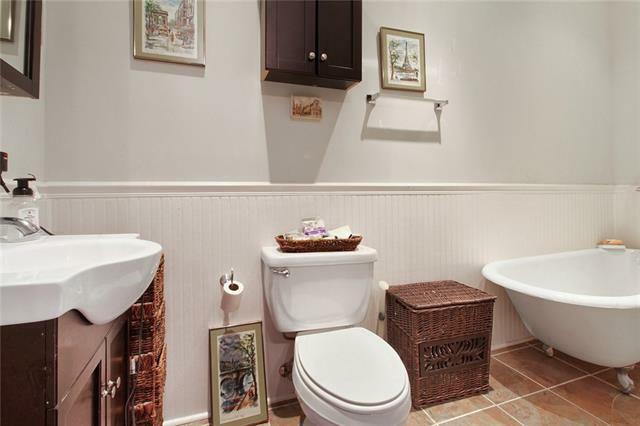 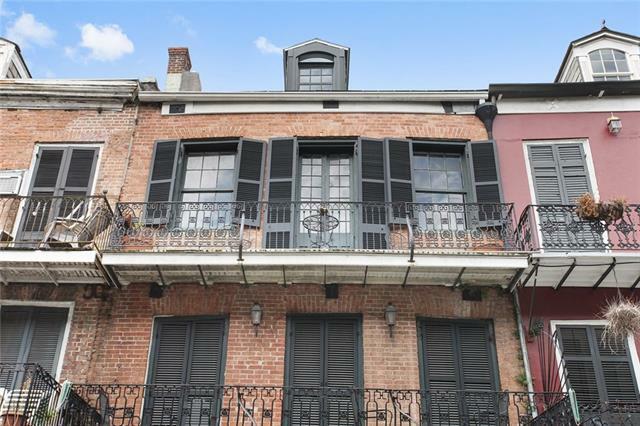 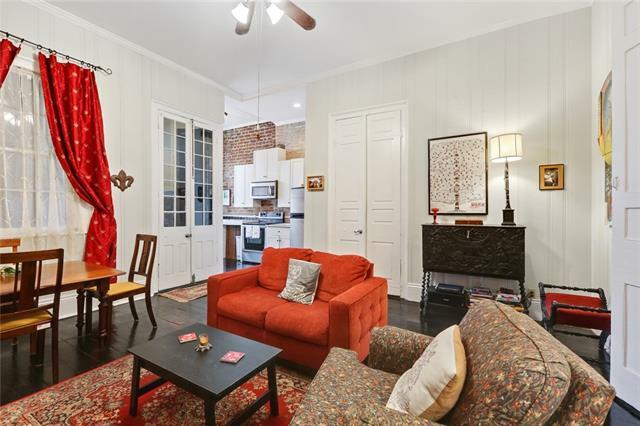 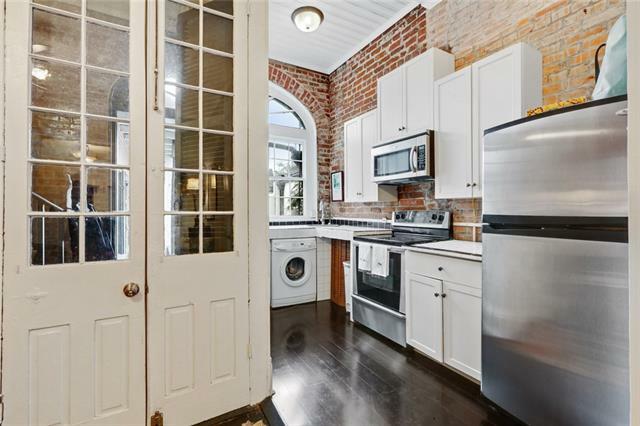 This breezy 2 bedroom space maintains one of the best locations in the French Quarter, just off the river and Jackson Square. 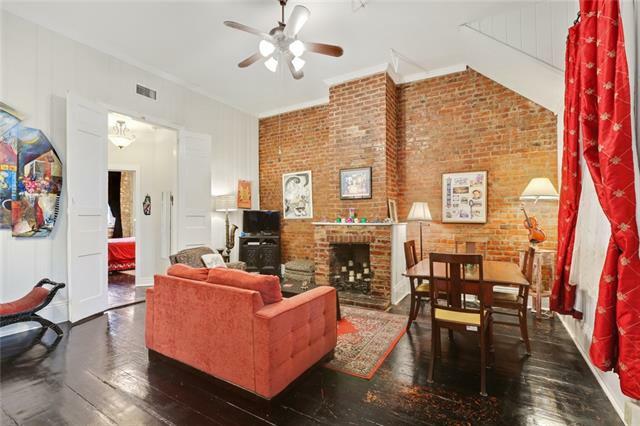 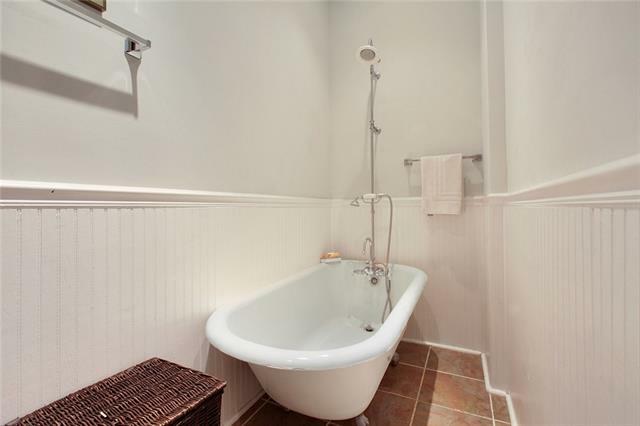 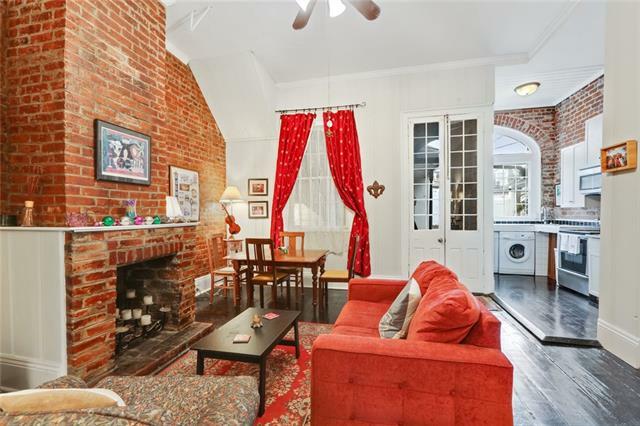 Many historical details from this 1830’s three bay exposed brick townhouse remain, including hardwood floors, exposed brick walls, fireplace, French doors, and clawfoot tub. 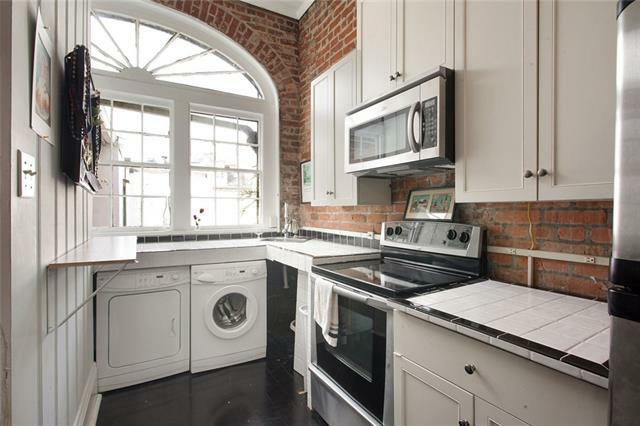 Modern appliances and washer and dryer in unit. 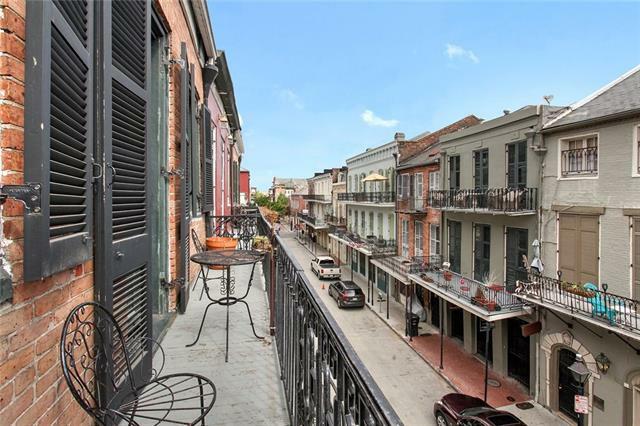 Bounding streets Decatur, Chartres, St. Philip, St. Ann St.